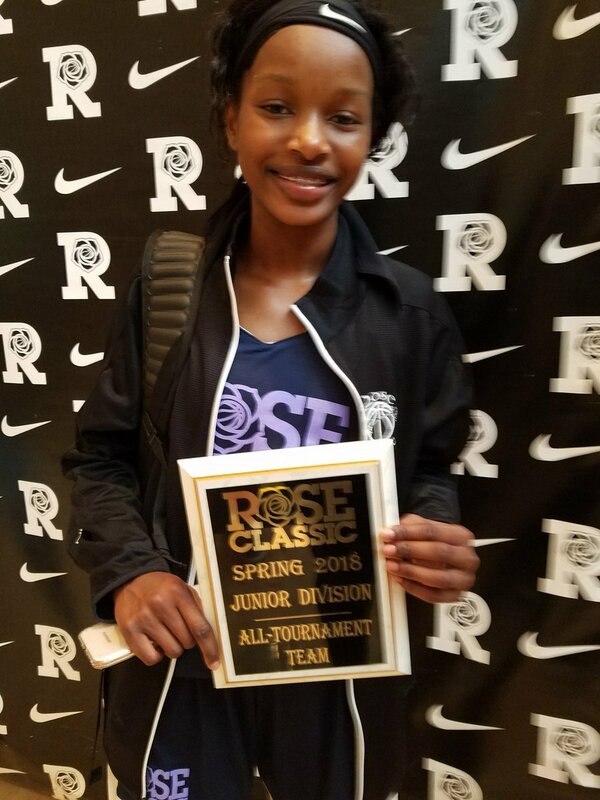 College coaches there is no reason for me to tell you Madison St. Rose will be one of the 3 best Freshman in the state, next season. I don’t need to tell you, she has Power 5 length and size for her future college position as a combo guard. 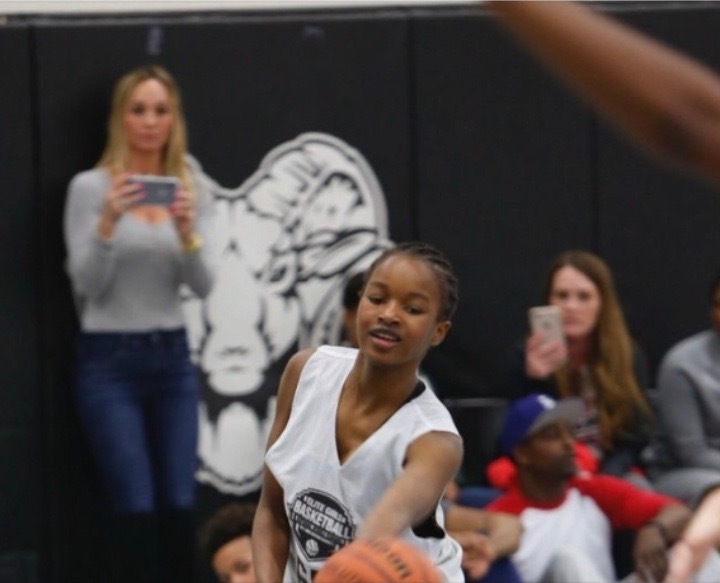 I don’t have to tell you at the NBS camp she was one of two 8th and 9th graders to make it to the main court. I don’t have to tell you, she is the best passing, young player I have seen in years. I don’t have to tell you, she went head to head against two of the 5 best players in the entire state and more than held her own at NBS. I don’t have to tell you,she did not take a bad shot the entire week. I don’t have to tell you, she is a flat out, a knock it out shooter (with range) and defender. I don’t have to tell you she already has D1 offers before she has played her first high school game. I certainly don’t have to tell you she is a future Power 5 player. If I have to tell you any of these things… you may be in the wrong profession? MADISON ST. ROSE IS SPECIAL FOR OTHER REASONS. 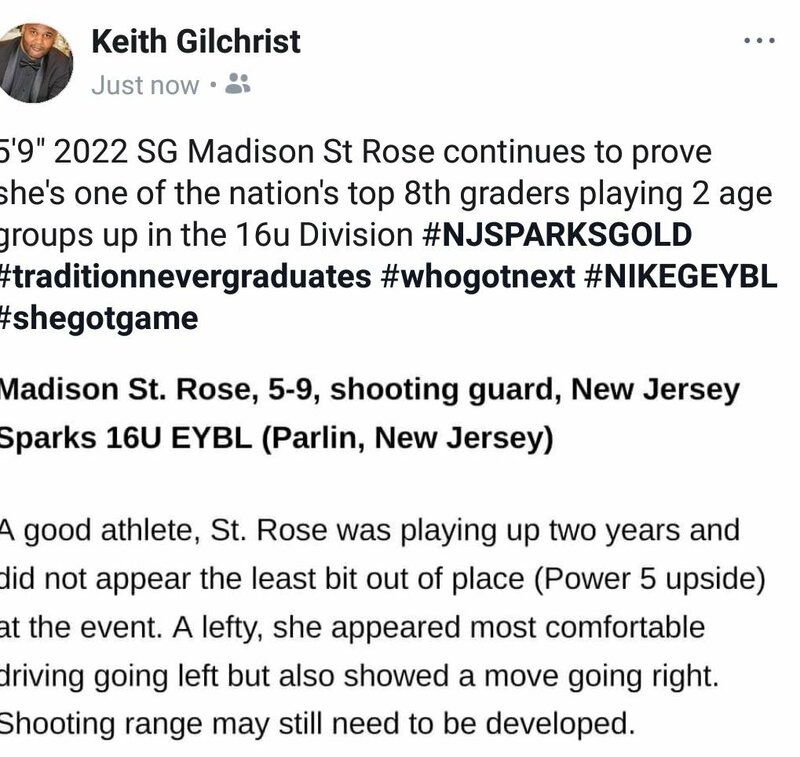 Madison St. Rose will attend SJV next year. Now on the surface, you may say, there is nothing special about this …you’d be wrong, as in really wrong. 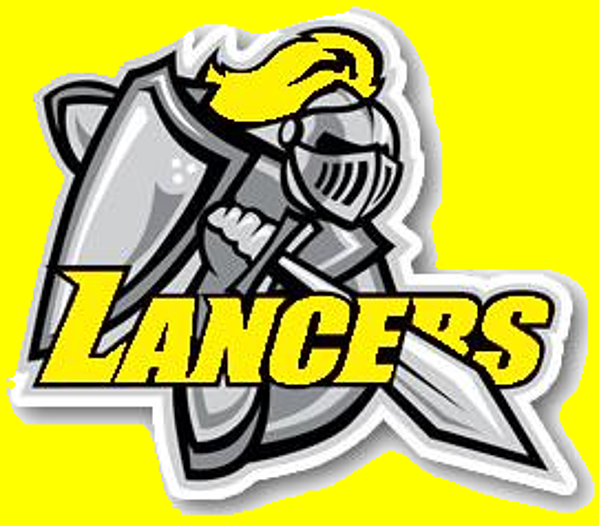 Many talented young players have decided not to attend SJV over the years, why? Because they know Coach KARPELL makes only one promise. If you are good enough and work hard enough, you will play. There is no hinting of starting or playing time with a wink. If there’s one thing Coach KARPELL has proven over the years…its this, NO ONE PLAYER IS BIGGER THAN HER PROGRAM. It’s exactly why I believe Madison St. Rose choose SJV. She doesn’t want anything given to her. Madison St. Rose believes in her game. She believes, she can earn her spot and time at SJV. She is a kid that wants to play with and against the best. She doesn’t need promises, she knows SJV is stacked, but she also knows nobody on God’s green earth prepares players for college like Coach KARPELL. It’s this competitive nature that makes Madison so special. 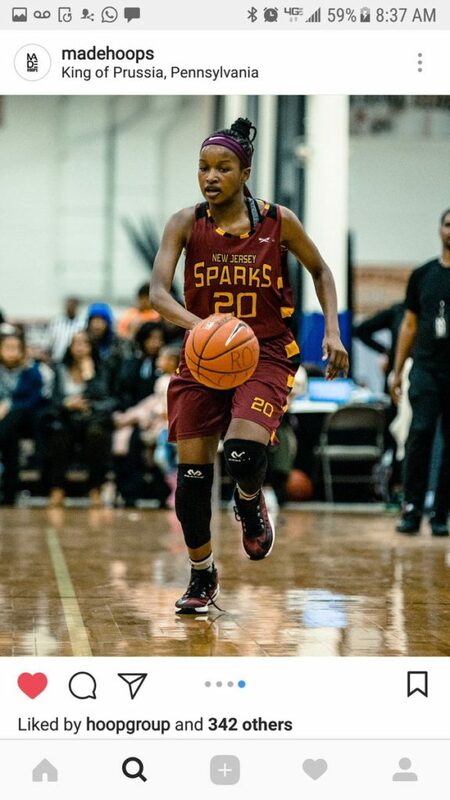 It’s why she plays up on the u16 EYBL SPARKS TEAM. She relishes the competition and thrives in it. It’s why one day she will be known as a SJV great. Madison St . Rose has been given a gift. She may not know this yet as she is still young. Her gift is that she is a human Chameleon. She has the ability to fit into any setting. It’s because despite being one of the best babies in the state, she is liked by all. There is no jealously that often surrounds great young players . The reason is simply, she is quite and approachable at the same time. There is no bragging or show boating. There is no talk about player rankings or who is the best..she just fits in and does as the romans due in Rome. One morning as we were driving to camp. 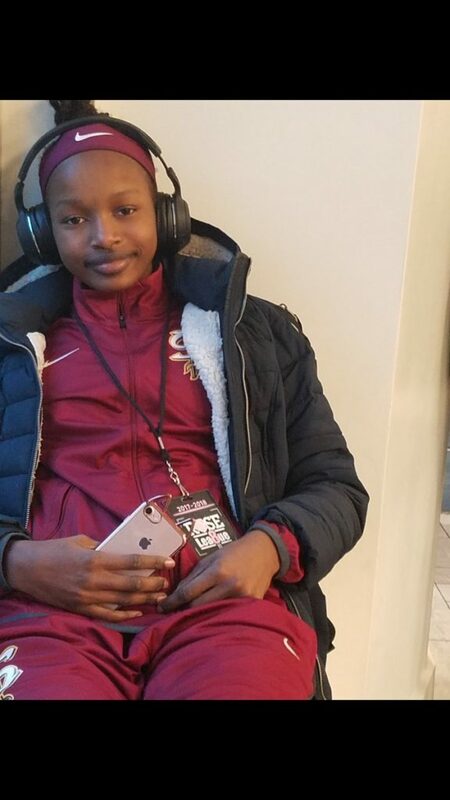 A college coach called while she was in the car and her name came up. She heard the conversation and not once the rest of the week, did she ask me about it. It was a school trying to reach her to extend a offer. You see Madison St. Rose has bigger things to worry about…like just being a typical teenage girl, except with a special talent. She smiles when you tease her. She protects her twin brother with a passion, she doesn’t know, I caught her looking for her brother all week at camp. Madison I LOVED THAT ABOUT YOU….DONT STOP BEING YOUR BROTHERS BIGGEST SUPPORTER. Madison’s gift is not her basketball talent by a long shot…that’s just the cherry on the top.